Some people enjoy a casual stroll, others a more intensive hike, and still others like to take hiking to the next level: mountain biking! Fortunately, you don’t have to live in New England or along the Appalachians to enjoy the best outdoor scenery and exercise. Here are some of the best mountain cycling trails located right in Texas. Located along Lake Grapevine, the Northshore Trail is one of the most popular mountain biking paths in the Dallas-Fort Worth area. Due to its scenic views, it’s often shared by bikers and hikers, so be sure to be courteous and conscious of your peripheral space. 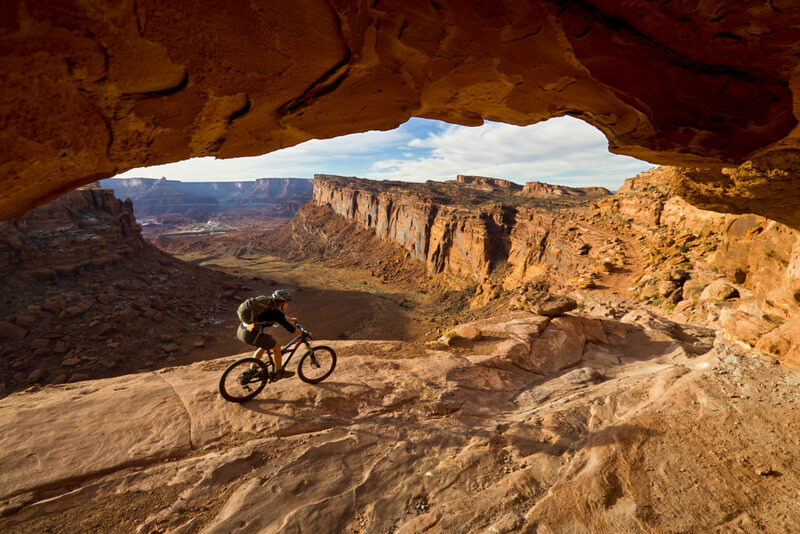 Spanning a total of 19 miles, the east side of the trail is geared towards intermediate mountain bike riders, while the western side is much more difficult and advanced, featuring steeper climbs and harsher terrain. However, if you make it to the western side, you’ll be able to bike through about a quarter of mile of bamboo! A perfect trail for beginners, the 4 miles along Lake Fannin are popular choices for those who are more interested in an easy, scenic ride than something physically challenging. However, since it is less popular than other local trails, it’s not groomed as often, which is somewhat of a deterrent to some people while others don’t mind as it gives a more “natural” look. Aside from the hiking and cycling opportunities, Lake Fannin trails are popular campsites, offering beautiful views over the lake. Located in Waco, Texas, the Cameron Park color-coded trails snake through a heavily wooded area, some even through some bamboo groves if you’re in for a surreal experience. There is a lot of climbing involved in these trails, so keep that in mind when you’re deciding where to go. The foliage is dense, but since Cameron Park is a popular choice, it is often well-maintained. One of the most popular trails in not just the Dallas-Fort Worth area but arguable the whole state of Texas, the Big Cedar Wilderness Trail, often called just Big Cedar by the locals, this trail soars across varying terrains, with sections for beginning cyclists, intermediate cyclists, and even experts, with the varying difficulties color-coded. In fact, the trail is still undergoing extensions even today. Once the trail is completed, it is projected to span over 30 miles, although it is closer to 15 miles long at present. It’s a popular choice because each sub-trail, for lack of a better word, has a direct route back to the easiest trail, so cyclists can skip over the trails they’re not interested in. There are even two “freeride” trails that are entirely downhill if you really need a break. Even with all of those options, many serious bikers consider it quite the personal accomplishment to complete the entire length of Big Cedar. The Palo Duro Canyon features five separate trails of varying degrees of intensity. For a total of 26 miles, this is a fun option for people who feel that lakeside trails and wooded trails are a bit too commonplace, while canyon trails are fewer and farther between. Palo Duro is known for its breathtaking scenery and terrain, which ranges from dirt to sand to rocks to cliffs and even more! At an elevation of about 892 feet, Dana Peak is a common choice for intermediate cyclists and hikers. Spanning about 20 miles, Dana Peak’s trails branch off from the main, always allowing the cyclist the option to circle back if they so choose. These trails are decades old, and often a personal favorite among long-time cyclists or locals. However, it’s not the best well-marked trail, so be ready to explore! Found in Kingston, Texas, this is another popular beginner-friendly trail, offering 2 miles of natural trails and 4 miles of more developed, maintained trails for a total of four separate trails. It offers mainly a granite path instead of being up to your pedals in mud or clay. East End is a popular dog-walking or day-hiking location, with benches located strategically along the trail for those who need a little break. A widely-used intermediate trail with an elevation of about 1,700 feet, Flat Rock Ranch offers about 20 miles of trails over typical rocky paths, creek crossings, downhill sections, uphill climbs, and more. If you’re looking for some variety, Flat Rock Ranch might be the perfect choice for you. With some sections more difficult and challenging for other, there’s a good chance that you’ll find Flat Rock Ranch offers something for cyclists of all skill levels. If you’re searching for a good biking trail near Austin or the Greater Houston area, Cypress Creek is here for you. Clocking in at about ten miles, this technical trail is closed during wet or muddy conditions. Just keep a careful eye out: this trail is not yet fully marked, and not all of the paths are one-way, so be cautious of your surroundings and practice good trail etiquette. Cypress Creek is a popular choice because of its technical turns and challenging climbs. If you’re not into the super-intense biking, don’t worry: there are parks, walking paths, and beginner-friendly trails if you prefer. Dogs are welcome on those paths as long as they’re leashed. We have written a dedicated guide to Houston MTB trails as there are so many good ones! Don’t be fooled by its name: Slaughter Creek is a 5-mile trail perfect for beginners. Located in Southwest Austin, Slaughter Creek features a single-track trail through woods and fields. Some of the terrain is a bit rougher than others, perfect for those seeking to improve their skill without risking hurting themselves. This 10-mile trail offers you the scenery and history of Austin from the comfort of your bicycle seat. You’ll pass through Zilker Park, overlook beautiful Ladybird Lake, soar under bat bridges, and see the famous Stevie Ray Vaughan statue. Alternating between paved path and decomposed granite, this is a good beginner-to-intermediate choice, with a boardwalk path for families, walkers, and leashed dogs. The trail is mostly flat, and wide enough that congestion during peak season is not usually a problem.